The "?" Column indicates whether or not I have a copy of the record in my collection (Yes/No). NUMBER ARTIST TITLE DATE ? 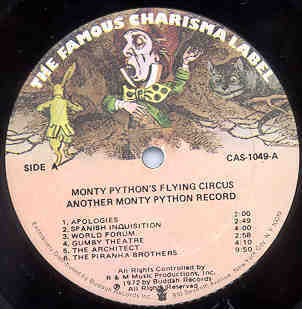 Some of the missing numbers in this series are LPs released by Charisma in Canada which were either not released at all in America or released by other labels. CL-1-3101 Unknown This number is believed to have been assigned to Peter Gabriel's third album; instead, the original US release of that LP ended up on the Mercury label, Charisma's US distributor at the time. and these are the ones I know about. Copyright 2005 - 2018 Mark J. Moerman. This information may not be reposted without permission and proper acknowledgement.